For nearly two centuries, the closeness of the work of Christopher Marlowe and William Shakespeare has been an accepted fact of Shakespearean scholarship. Shakespeare scholars have dealt with this in a number of ways. In the nineteenth century it was common for scholars to argue that Marlowe was a part author of many of the early Shakespeare works. Other scholars argued that several of the early Shakespeare plays were originally written by Marlowe, but were later re-written by Shakespeare. In the twentieth century, the focus was on Shakespeare's supposed close study and attempt to imitate Marlowe's style. This is how Shakespeare learned to write drama, so the argument goes, and this is why the early work of Shakespeare is so similar to Marlowe's work. We at the International Marlowe-Shakespeare Society propose a different view: the work of Marlowe and Shakespeare is so much alike because they were written by the same person. This would eliminate speculation about how Shakespeare managed to equal Marlowe's facility with language and his vast erudition, which Marlowe had been developing since childhood. It would solve many of the problems of the Stratford claim, and supply a rational solution. No other candidate can offer what Marlowe offers. The only writer with the proven ability to write poetry and dramatic verse at a "Shakespearean" level. For two centuries, scholars have proclaimed that Shakespeare learned how to write by studying Marlowe's style. Speculation that they were friends and shared manuscripts is prompted by the striking similarity of Marlowe's later works to Shakespeare's early works. documentable evidence is the firmness with which Marlowe�s influence rooted itself in Shakespeare and developed, for it continued to thrive for 18 years after Marlowe�s death, roughly from 1593-1611, the remainder of Shakespeare�s career. When Marlowe is writing like this [in Tamburlaine] he bears comparison with Shakespeare in his finest flights of rhetoric � the battle speeches of Henry V, the eloquence of Mark Antony in Julius Caesar or of Cleopatra in Antony and Cleopatra. That he was mightily impressed and influenced by Marlowe is not in doubt; it is also clear that in his earliest plays Shakespeare stole or copied some of his lines, parodied him, and generally competed with him. Marlowe was the contemporary writer that most exercised him. . . . He haunts Shakespeare�s expression, like a figure standing by his shoulder. A nearly collusive relationship between the two dramatists, starting around 1590, really ensured that Tamburlaine's revolution in form and significant ideas would not die out. Much depended upon a fresh attitude to creativity itself, and it was Marlowe who most encouraged Shakespeare to bring stateliness and a high poetic habit to the drama. Shakespeare almost certainly saw [Tamburlaine], and he probably went back again and again, � from its effect upon his early work, it appears to have had upon him an intense, visceral, indeed life-transforming impact. We must keep in mind that Marlowe was one of Shakespeare's most influential teachers, that Shakespeare's plays would have been very different from what they are � and may not have been at all � were it not for the Marlovian example. Nor was As You Like It Shakespeare�s only acknowledgement of the influence of Marlowe. Shakespeare quoted Marlowe in The Merry Wives of Windsor, may have collaborated with him on the three parts of Henry VI, and is clearly influenced by him in a host of plays. Yet Marlowe, himself a wild original, was Shakespeare�s starting point, curiously difficult for the young Shakespeare to exorcise completely.� And yet that means the strongest writer known to us served a seven-year apprenticeship to Christopher Marlowe, only a few months older than himself, but London�s dominant dramatist from 1587 to 1593, the year of Marlowe�s extinction by the authorities. The player [Shakespeare] seems to have acted in the Cambridge poet�s The Jew of Malta�a work Shakespeare recalled closely in his own plays and which was not in print. Shakespeare, I suggest, only became Shakespeare because of the death of Marlowe. And he remained peculiarly haunted by that death. Shakespeare's incorporation and revision of original writing by Marlowe� would help to account for the subliminal Marlovian characteristics of the Henry VI plays, their invariable association with each other and with Titus Andronicus, Richard II and Richard III� Shakespeare may have become the genius he was as a result of defining his talents and values in relation to those of a rival genius, Marlowe. Merriam, Thomas, 'Tamburlaine stalks in Henry VI', Computers and the Humanities, 30 (1996), 280. Shakespeare seems to be very much aware of what Marlowe is up to and chooses to plot a parallel course, virtually stalking his rival. The two men may have been acquainted; certainly Shakespeare knew Marlowe�s work and responded to it in his own first efforts. In short, Marlowe�s historic achievement was to marry great poetry to the drama; his was the originating genius. William Shakespeare never forgot him: in his penultimate, valedictory play, The Tempest, he is still echoing Marlowe�s phrases. But above all Dido suggests Antony and Cleopatra� Marlowe�s imagery here is very like Shakespeare�s. Shakespeare, too, must have seen Tamburlaine at the Rose� perhaps his reaction to Tamburlaine was the rewriting of part of a new history of Henry VI. His opening lines were certainly inspired by that play, and a finer tribute to Marlowe than anything written by the University Wits. What we may anyhow believe is that in  there perished at Deptford the only man of Shakespeare�s age who could have been a rival poet. Even without the contrast of Marlowe�s influence on his followers, including Shakespeare�especially Shakespeare�the impact of other writers on him is negligible, without trace.� That they met, that they afterwards collaborated, is certain; the work that bears Shakespeare�s name, and which is, in part, Marlowe�s, testifies to this. . . . This is the play [Edward II] that shows how Marlowe, if he had lived, would have matured; this is the book with which Shakespeare went to school. Only 5 years had elapsed since Tamburlaine, but there is here a development as impressive as Shakespeare�s was to be�perhaps it was more impressive� Much that Shakespeare was to do is found in Edward II in epitome, and all of it is shadowed forth in verse not even he surpassed. Shakespeare quotes Marlowe or alludes to his plays repeatedly � practically the whole of Marlowe�s work as it is now known� The abundance of Shakespeare�s quotations, echoes, and allusions [of Marlowe] is especially important because he lets his other literary contemporaries severely alone. Shakespeare already admired Marlowe to the point of close imitation; now he ventured on rivalry. He too would write a poem in the same style [as Marlowe�s Hero and Leander], claim a place amongst the poets, and perhaps win the poet�s reward in the patronage of some great Lord. He found his theme in the embroidery of Hero�s garments. For in Edward II [Marlowe] shows the dramatic taste of Hamlet, using all gently, suiting the action to the word, the word to the action, with special observance that his actors o�erstep not the modesty of nature. The father of English tragedy and the creator of English blank verse was therefore also the teacher and the guide of Shakespeare. He first, and he alone, guided Shakespeare into the right way of work� Before him there was neither genuine blank verse, nor genuine tragedy in our language. After his arrival, the way was prepared; the paths were made straight, for Shakespeare. Beyond all cavil or dispute, Marlowe's handiwork is as clearly discernable in Henry the Sixth, as is Shakespeare's; and this drama, or trilogy of dramas, should bear their names jointly on the title-page. [Richard III] shows the influence of Marlowe to a greater degree than any play of Shakespeare�s shows any single influence, and displays to us the young dramatist advanced a further step in seeking to rival his most successful competitor with his own weapons in his on field. Throughout Shakespeare�s �Richard III� the effort to emulate Marlowe is undeniable. 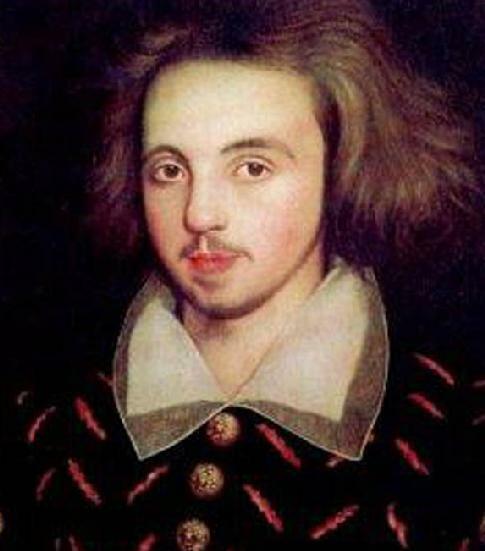 But of all those illustrious dead, the greatest is Christopher Marlowe. He was the first, the only, herald of Shakespeare. It was [Marlowe] who irrevocably decided the destinies of the romantic drama; and the whole subsequent evolution of that species, including Shakespeare's work, can be regarded as the expansion, rectification and artistic ennoblement of the type fixed by Marlowe's epoch-making tragedies. Blank verse, as we understand it, as Shakespeare understood it, came into birth at the bidding of Christopher Marlowe. [Edward III] is indeed so good that we are forced to think of Shakspere and of Marlowe, of Shakspere in his period of lyrism, or of Shakspere following the track of Marlowe. But it is only Shakespeare who can do everything; and Shakespeare did not die at twenty-nine. That Marlowe must have stood nearer to him than any other dramatic poet of that time, or perhaps of any later time, is probably the verdict of nearly all students of the drama. This only [Richard III] of all Shakespeare�s plays belongs absolutely in the school of Marlowe. The influence of the elder master, and that influence alone, is perceptible from end to end. Only the almost superstitious reverance we have for the name of Shakespeare has kept in comparative oblivion the rival drama [Edward II] � certainly the masterpiece of history plays at the time of its production. Marlowe was the first poet before Shakespeare who possessed any thing like real dramatic genius, or who seemed to have any distinct notion of what a drama should be. Revival of �The Jew of Malta� by Edmund Kean. From an unsigned review in �Blackwood�s Magazine� (May 1818), iii, 209-10. Click here to read about Marlowe's life and work. Why do we think that Marlowe did not die in 1593? 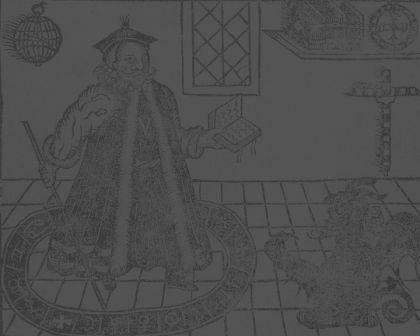 Click here to learn about what we call "The Great Puzzle" of Marlowe's death. one's own death is unusual? Click here to find out how common it actually is. Click here to read opinions about Marlowe's influence in the Shakespeare plays. IMSS are sceptical that Shakespeare was a writer.